A 25-year-old man has been diagnosed with Middle East Respiratory Syndrome (MERS), in the second case Qatar has seen this year. The patient had sought medical advice at a primary healthcare center in Qatar after suffering from fever, cough and body pain for several days, the Ministry of Public Health (MOPH) said. He tested posted for MERS and was admitted to the hospital in stable condition. Health officials are working to identify the possible source of infection, as the man had not traveled out of the country recently, or been in contact with anyone else with MERS. MERS is a viral respiratory illness, and can spread when an infected person coughs or sneezes. Symptoms include fever, coughing, a sore throat and in some cases, diarrhea. Last month, Qatar’s first MERS case of 2017 was announced. The 62-year-old expat was admitted to Hamad Hospital after being diagnosed with the virus. As with the most recent case, the patient had not traveled outside the country or been in contact with symptomatic people in the weeks leading up to his illness. The man experienced fever, night sweats and abdominal pain before testing positive for MERS. He has since fully recovered and was discharged from the hospital, MOPH said yesterday. Overall, the country has seen 20 cases of MERS since the virus was discovered in 2012, seven of them fatal. The vast majority of cases worldwide in the past five years have originated in Saudi Arabia. Studies are ongoing to find out how the disease spreads. Due to links to camels, people with chronic health conditions, the young and the elderly are advised against contact with the animals. A vaccine against the illness is now in the works and is expected to be out by the end of the year, officials previously said. The ministry has urged residents with any questions about the virus to call two 24-hour hotlines at 6674 0948 and 6674 0951. A vaccine against Middle East Respiratory Syndrome (MERS) could be available by the end of next year, a senior Qatar health official has reportedly said. Several pharmaceutical companies are currently working with the World Health Organization (WHO) on this, Dr. Mohamed Mohamed Al-Hajri, director of emergency preparedness and response at the Ministry of Public Health, told local media yesterday. A 23-year-old man living in Qatar has tested positive for Middle East Respiratory Syndrome (MERS) – the country’s third confirmed case this year. The Ministry of Public Health (MOPH) said yesterday the man had not been in contact with any confirmed cases and is not suffering from any chronic diseases that usually suppress immunity. He is receiving treatment in isolation at Hamad General Hospital and his condition is stable, QNA reported. No further details about the man have been released and it is not known if he worked with camels, as has been the situation with a number of previous cases of infection in the country. The news comes as researchers find that MERS has spread to a cluster of alpacas at a farm in Qatar, the first animals besides camels to have the virus. Other cases this year included a 40-year-old expat camel worker who was hospitalized last month after testing positive for the virus. And in February, a 66-year-old Qatari man who was the country’s first MERS case in a year died from complications related to the illness. He had been admitted into the hospital with fever and cough after returning from a “neighboring country,” according to MOPH. Studies are ongoing to find out how the disease spreads. Due to links to camels, those with chronic health conditions, the young and the elderly are advised against contact with the animals. Earlier this month, more than a dozen alpacas on a farm in Al Shahaniyah tested positive for the virus, scientists reported in a letter published in the Emerging Infectious Diseases. These are the first livestock outside of dromedary camels that have been found to have been infected with the virus that causes MERS in humans. In April last year, the research team tested 15 healthy alpacas out of a herd of 20 animals and 10 camels from a herd of 25, all of which were kept on a hobby farm and were cared for by the same workers. Swab tests revealed the presence of the MERS virus on all alpacas and nine of the camels. 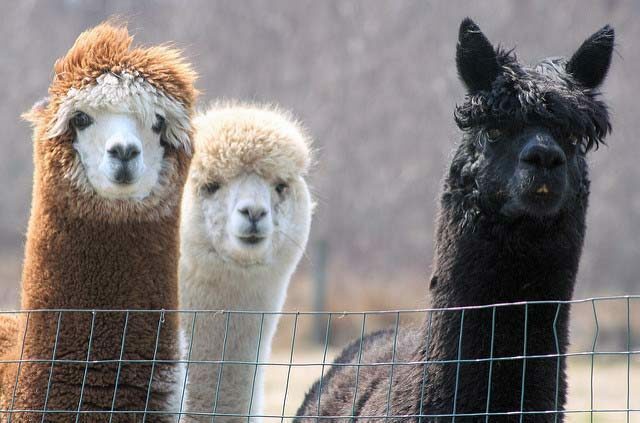 “Our observations prove the susceptibility of alpacas for natural MERS-CoV infection and lay the foundation for future studies to determine the potential of alpacas as another livestock reservoir for MERS-CoV,” the letter said. Further research is needed to confirm if the virus could be spread through alpacas. “It remains to be determined whether alpacas, in parallel with dromedaries, will actually shed MERS-CoV and are capable of independent maintenance of the virus in their population,” the researchers added. Anyone with MERS-related concerns or questions can call hotline numbers 6674 0948 or 6674 0951.